The Vanguard Awards is a signature Detroit Young Professionals event and the preeminent peer-selected awards ceremony for Metro-Detroit emerging leaders. For the 7th year, this event will profile the outstanding efforts of young professionals and entrepreneurs growing and excelling in their respective fields. These individuals influence the growth, prosperity and quality of life in Metro Detroit. They demonstrate the ability to positively impact the area long-term through professional accomplishments and community involvement. This year's theme is "Leading With Intention." We are excited to honor our 2017 award recipients, who have demonstrated their potential as amazing leaders, and connect with several past Vanguard Award recipients who have taken on unique leadership positions in our community. Learn more about the recipients! Digitally experience the 2016 Vanguard Awards through our recap video and get excited to celebrate at the 7th Annual Vanguard Awards. Reach our network of diverse young professionals + entrepreneurs through accessible sponsorship opportunities. Discover the outstanding young professionals and entrepreneurs who were honored at past Vanguard Awards ceremonies. 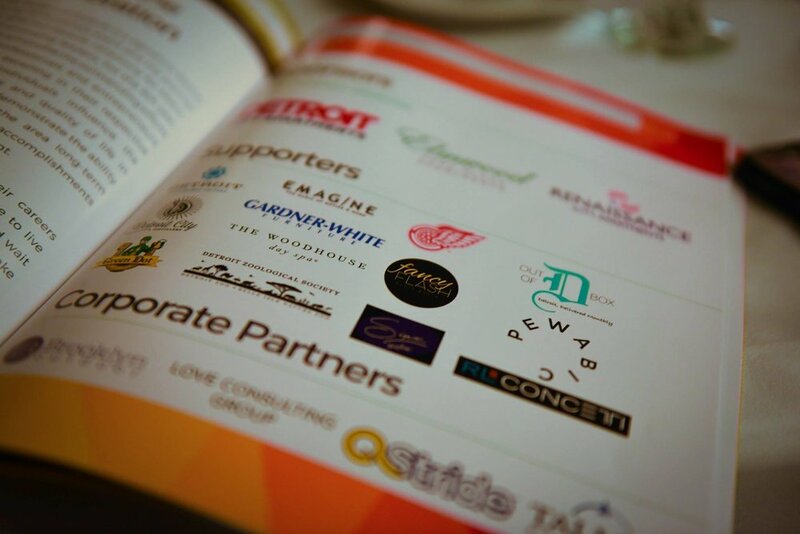 Thank you to our sponsors for supporting your local young professionals. Honoring young professionals and entrepreneurs who are dynamically impacting Detroit through Intentional Leadership.